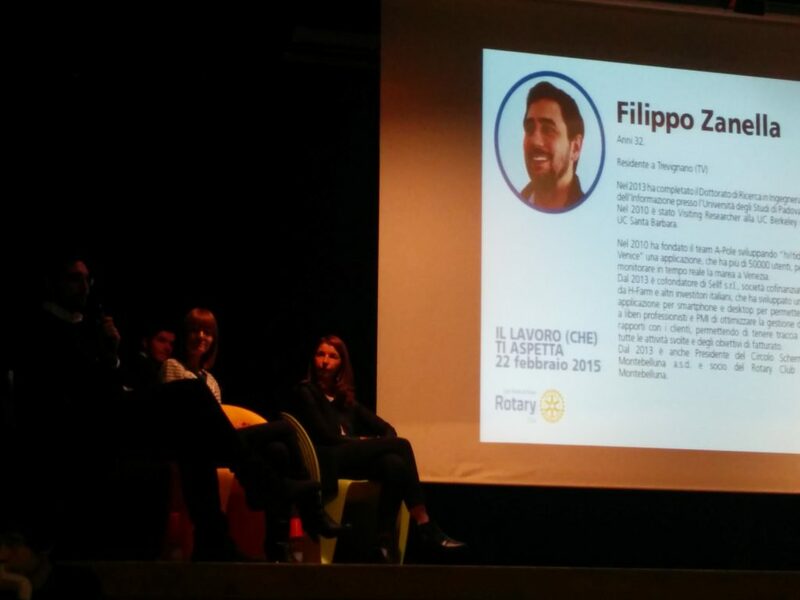 Today I’m on the stage in San Donà di Piave sharing with an audience of 300+ people my ideas regarding entrepreneurship in a digital company. This talk is very important for me because it is not only a renewed opportunity for myself to analyze my job and collect all my thoughts till now, but it also happens on the Rotary Day, the date chosen by Rotary International to let the people know something more about Rotary. I’m happy that the Rotary of San Donà involved me in this conference, to tell to other young guys what are the opportunities around and how you can covey your passion into a daily job. I made this presentation to recall to my team at Sellf the basics and most important aspects of the Agile method. In particular, considering Trello as main tool to keep track of our sprint and stories. Check it out and share your ideas! Agile Fundamentals and Best Practices (with Trello) from Filippo Zanella, Ph.D.